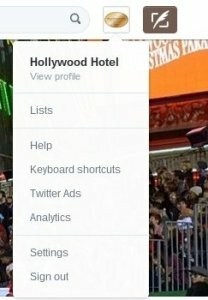 In part 1 of this article, hoteliers were shown how Twitter Lists can be beneficial to their hotel. In short, Twitter Lists help you organize your newsfeed and will keep you up-to-date with all the major events happening around your hotel. This tool can be especially useful when you are looking for relevant content to share with your audience or looking for some quality tweets to retweet. So how do you create a Twitter List? First, you want to access the Lists page. 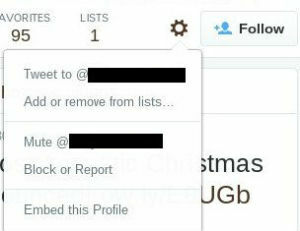 You can either go to your profile and clicks ‘Lists’ or you can click at the top right of your screen. Once on the lists page, scroll down and click the button that says ‘Create new list.’ A pop-up will appear asking you to name your list and give a brief description of 100 characters or less. You can then choose whether or not you want to make your list public, so that others can follow your list, or private so that it is only viewable to you. If you are interested in other users following your lists and becoming a sort of expert or go-to list for a certain subject, then it’s best to make your list public. Click save and your list is ready to go. Once your list is created, it’s time to add users to your list. If your hotel is located in Anaheim, CA your list may be titled ‘Attractions in Anaheim.’ You would want to add accounts such as Disneyland, Knott’s Berry Farm, Honda Center, and Downtown Disney to this list. To add these accounts, do a search of each attraction in the Twitter search bar. Click on the account and go to the attraction’s Twitter profile. Next to the Follow button, click the drop-down menu and click ‘Add or remove from lists.’ In the pop-up window, select which list you would like to add the user to. You can refer back to your lists at any time by returning to the Lists page. Simply click on the list you wish to view and you will be shown all the recent tweets from the users you have added to your list. 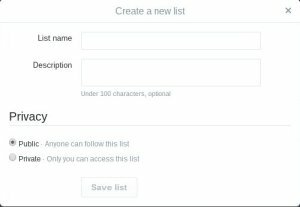 Currently, each Twitter account can make up to 1,000 lists and each of those lists can contain up to 5,000 Twitter accounts. Part of a good Twitter strategy is retweeting using the retweet button and sharing other users’ content. Creating and actively using Twitter lists is an easy way to sort through the clutter of your newsfeed and easily find content that is relevant to you at the moment.